Your employees are quietly complaining about IT. Little by little, those comments add up. They’re saying that IT hurts productivity. They’re telling managers that systems are too hard to use. Left unchecked, your reputation as an effective IT leader–let alone an innovative one–will crumble. Breaking out of this negative perception doesn’t require a stroke of genius; you just need to deliver an IT win that directly benefits end users. That means implementing a single sign-on solution. It’s one of the best ways to save time and make end-user computing seamless. To make that happen, you need resources and support. In short, you need a business case for single sign-on. In a moment, we’ll provide a step-by-step process to create a business case. Best of all, this process will work even if you aren’t naturally a smooth presenter. Like it or not, your personal credibility and reputation as an IT leader will affect your ability to gain approval for projects. Step zero in the process is to self-assess your current performance. If you have a generally positive reputation with management, proceed. On the other hand, if you’re having problems or fumbled the last IT crisis, now isn’t the time to pitch a new system. What are the approval limits? If you need a $1 million approval, don’t focus on the manager with a $100,000 approval limit. Who in management stands to benefit personally from implementing new systems? For example, do you have a recently hired IT executive who’s keen to have a big win in the first year on the job? IT help desk: If the help desk is overwhelmed with password change requests, a single sign-on solution could help. Employee experience: Make daily life easier for employees at work. This might be listed as a human resources goal. Cybersecurity effectiveness: What cybersecurity goals and KPIs is the company aiming to meet? Remember that cybersecurity threats are growing steadily every year. If you do neglect security, you’ll be at greater risk for a security incident. This is your last preparation step before you get down to creating your business case. In essence, you’re seeking advice from people who’ve succeeded. You don’t need an hour-long meeting; you just need to ask a few questions. Taking fellow managers out for coffee would be a smart move here. What project did they get approved with a business case process? What documents, forms or templates did they need to use? What level of funding or resources did they get approved? What aspect of the business case approval process did they find most difficult? Who was most helpful (and least helpful) in the process? Now that you’re equipped with this knowledge, you can start to create your business case. There are two ways to create a business case document, depending on your organization: structured or unstructured. If you’re based in a large company such as a Fortune 1000, you’re probably in the structured world. Everyone else is likely in the unstructured world. Here are tips on how to use both approaches. Access all the required forms and templates. Set aside 30 minutes to work on a first draft of the business case. Flag any sections of the templates or documents you’re unclear about so you can get clarification before you submit them. Prepare a one-page summary of your business case as a backup (some executives don’t want all the details). Important: Don’t skip any steps or required forms. If a financial analyst at head office starts questioning your numbers, your business case is going to fall apart. Start with the organization’s goals and problems that relate to single sign-on. Present your preferred single sign-on solution as the option. 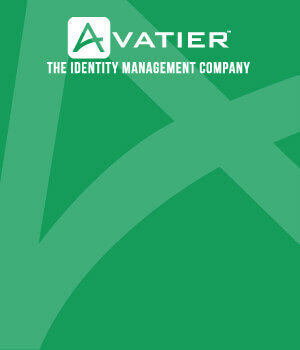 Outline the advantages and disadvantages of different single sign-on solutions on the market. Summarize the investment required, including budget, staff and schedule. Tip: Do you need to strengthen your SSO business case further? 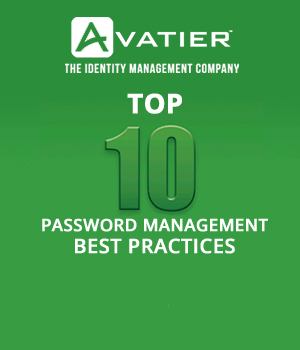 Check out our article: 7 Reasons Single Sign-On Is Better Than Managing Passwords. Leverage the budget rules and timing: Large spend requests tend to take the most time to be approved. Consider if you can scale up or scale down the business case to gain approval quicker. Pre-wire the business case: Meet one on one with influential managers or executives to ask for advice on getting the business case approved. This informal approval will set you up for success at the next step. Ask to present the business case: Request the opportunity to present your business case for single sign-on software in person. That way, you’ll have the opportunity to answer questions and read the room. Follow up, Follow up, Follow up: You may not receive immediate approval, but don’t get discouraged. Now you know the steps to plan a successful business case. Start by scheduling the first step into your calendar. You can get the answers you need with 3-4 phone calls to the right people. ← Will You Pass The 2019 IT Security Sustainability Test?